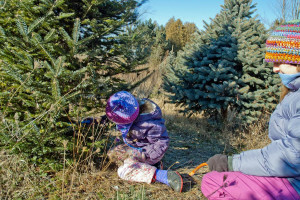 ST. GEORGE — Cutting a Christmas tree in a national forest is a family tradition for many residents of Utah. Holiday tradition for many includes cutting their own Christmas tree. Permits are now available in most ranger districts for national forests in Utah. Below are details and conditions for obtaining permits in Utah’s national forests. Trees must always be cut close to the ground, leaving the stump no higher than 6 inches. A shovel will come in handy to dig through the snow to reach the base of the tree. Make sure your permit is attached to the tree before leaving the cutting area. Tree topping is not allowed. No cutting is allowed within 200 feet of riparian areas (lakes and streams), roads, campgrounds, picnic areas, administrative sites, summer home areas or within designated closed areas shown on tree cutting area maps. Other conditions apply as specified below along with locations to purchase Christmas tree cutting permits. Flaming Gorge Ranger District office, Manila | 8 a.m. to 4:30 p.m. Monday-Friday; 10 a.m. to 2 p.m. Conditions: The Fishlake Basin Recreation Area, including Johnson Valley, is closed to tree cutting from the forest boundary on the west to Zedd’s Meadow on the east | Cutting ponderosa pine is prohibited except on the Boulder Mountain of the Fremont River Ranger District. Conditions: Blue spruce may not be cut | Tree cutting is not allowed in the Merchant Valley Summer Home area or along the visible edge of state Route 153 | Ensure trees are cut on the national forest, not private land | Maps are available from the district office. In its released statement, the Forest Service urged people to remember that weather conditions in the mountains are unpredictable, and preparation for winter weather is advised. Stay on designated roads and trails. Be prepared for slick, snow-packed roads and have chains, a 4-wheel drive vehicle or a snow machine available. Let someone know where you are planning to go and the approximate time you will return. Carry a cell phone; bring additional warm clothing, as well as gloves, boots and a container of hot liquid, water and a lunch or snack. 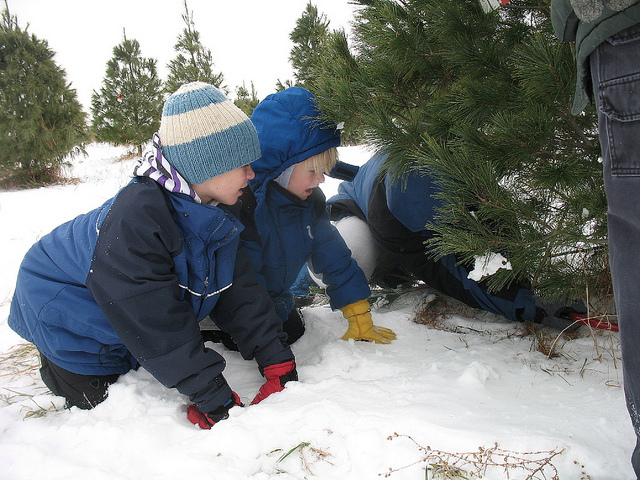 Carry a flashlight, chains, shovel, first-aid kit, matches, a hatchet, ax or handsaw and rope to secure your tree.